A project that aims to facilitate the integration of recently arrived engineers and scientists. Engineer to Engineer connects progressive companies with newly arrived engineers and scientists to improve work and social integration. Engineers and scientists can network and exchange experiences with working professionals in Sweden. Among the refugees that arrive in Sweden, there are many qualified engineers and scientists whose academic expertise is not fully used in the labour market. 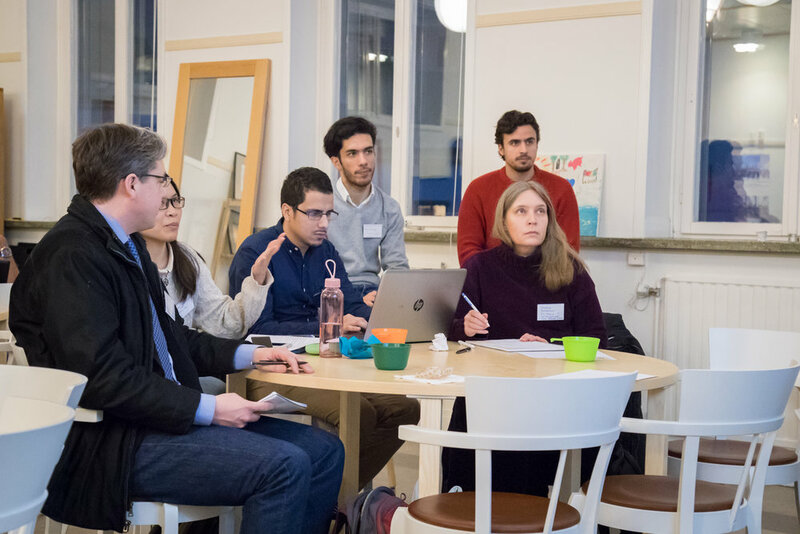 Engineer to Engineer creates a platform where recently arrived engineers and scientists can network and exchange experiences with working professionals in Sweden. This aims to give the participants a possibility to a fast integration into the Swedish society. At the same time, we provide Swedish companies with professional expertise. We connect progressive companies with engineers and scientists with a refugee background through different events. Engineer to Engineer arranges recruitment fairs, CV workshops, interview training, case events and provides a platform for professional networking between engineers and scientists from different geographical backgrounds. If you are interested in participating in any way, don’t hesitate to contact integration@ingenjorerutangranser.se. We are always looking for companies interested in connecting with qualified engineers as well as refugees interested in our initiatives. If you are a company with the need of engineers or scientists, you can participate in a recruitment fair, review CVs or present a case. If you are an established engineer or scientist in Sweden, you can help with networking, interview training or review CVs. Other suggestions on how you can contribute are always welcome. Are you a newly arrived engineer or scientist?